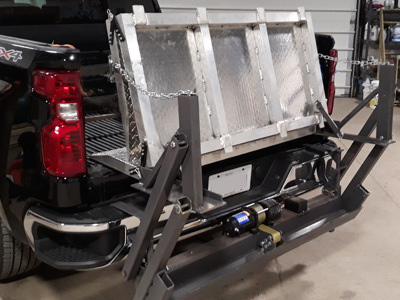 The Pit Bull heavy duty full-size rugged diamond plate lift gate with 12 volt DC motor has a lifting capacity of 800 to 1,500 pounds. Fits a two inch standard receiver. True remote operation with handset having no cables connected to motor like all others. 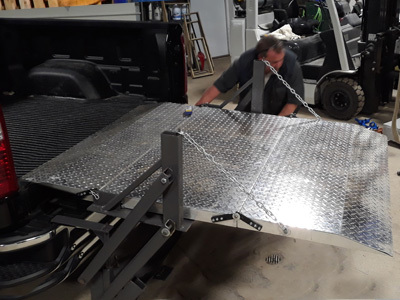 Adjustable to fit bed to ground heights from 17.5 inches to 23.5 inches. 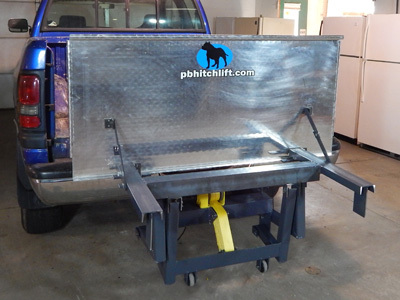 Fold up ramp and platform for use as tailgate. Attach and remove from vehicle in less than a minute. Separates into two easily moveable parts. 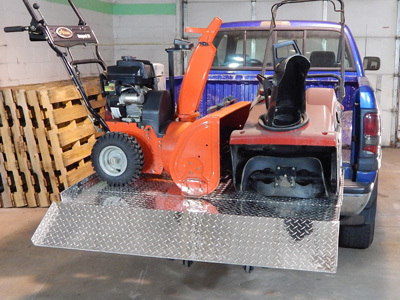 Heavy duty rollers with pull bar to easily move from vehicle to vehicle or from vehicle to garage. 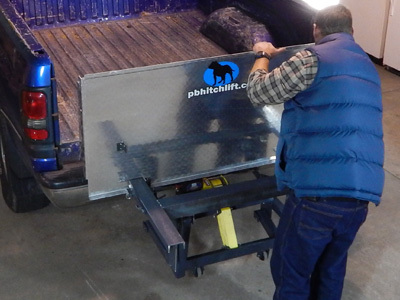 PB Hitch Lift offers several options to help make your life easier. 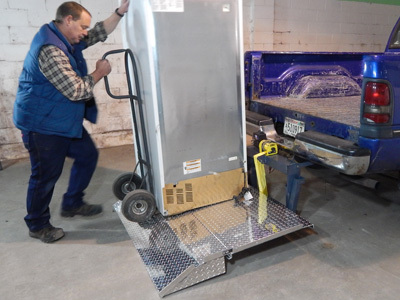 PB Hitch Lift was initially manufactured for service fleets, and is now available to the public for the first time!